Our vacation snaps will bring Maribor closer to you so you won't need to spend hours and dollars searching for appropriate travel books. Every time we go back to Slovenia and visit Maribor hundreds of holiday photos picturing our great moments out there fill up the photo cards. No wonder! Maribor is a beautiful little city in northeastern Slovenia and right in the center of Europe with an amazing proximity to many attractions and tourist hot-spots. We particularly enjoy times when a day out is spiced up with delicious treats in cafes, bakeries and restaurants that locals in Maribor know only too well. 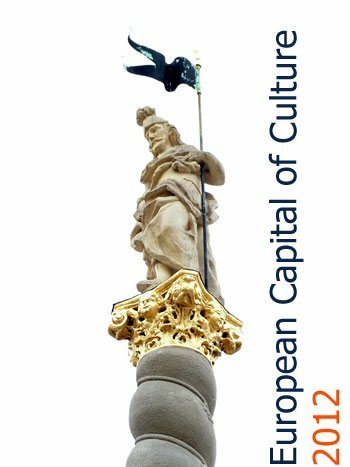 After all, it is pretty easy to find a museum or a gallery but oh boy have you ever tried to find a decent place to eat...somewhere you've never been before? 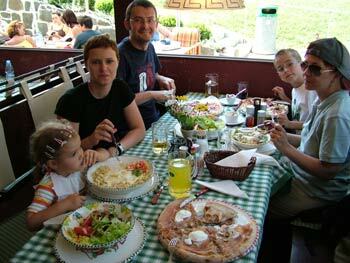 OK, but we do much more in Maribor than just tasting yummy food. We often take a cable car or walk up the nearby Pohorje, a mountain with ancient virgin forests and endless routes stretching 50 miles to the west and on a doorstep, just a 5 minute bus ride from the city center. ...and yes we are their regular visitors! But how on earth are we going to show all this to you? ...vacation snaps is the answer. 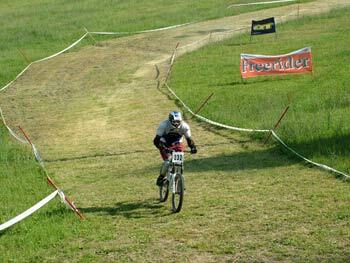 My husband took a snap of Dule - a friend of ours competing for a regional MTB trophy on a Pohorje's world cup downhill track in Maribor (2006). Dule is a huge MTB enthusiast and basically knows a lot of people that mean something in this sport in Slovenia. The competition was amazing and we did some pretty good snaps here. Maribor is now one of the 12 regular world cup mountain biking venues and is rapidly gaining popularity. Well, we also took this as a superb excuse for a great pizza in a nearby La Cantina pizzeria. Bars and restaurants are everywhere. Be it cycling, tennis, basketball or any other sport, every venue provides space to drink, eat, sit and relax. That surely is totally cool about Slovenia and Maribor in particular. So it's not a surprise then that we end up in a restaurant or a bar wherever we go. 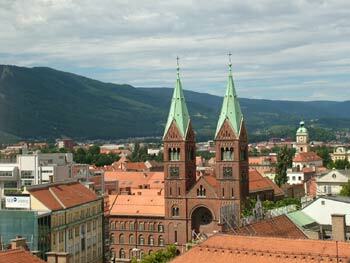 It is easy to crown vacations in Maribor with some great vacation snaps of the city. In fact I normally end up with hundreds of holiday photos taken from everywhere, really. Marvelous parks, medieval river front, great architecture and buzz in the city all provide excellent picture motives. I took this picture from the restaurant on the 10th floor of the local insurance company (Pohorje mountain is on the left). There are various hidden places all around Maribor that offer stunning views. Finding them demands some resourcefulness but it really is worthwhile a try. I mean, there is so much that we do in Maribor. I actually had to create a number of folders for all our holiday photos. City center itself is a story on its own and I don't just mean architecture. ...it's a work of a lifetime to explore it all. 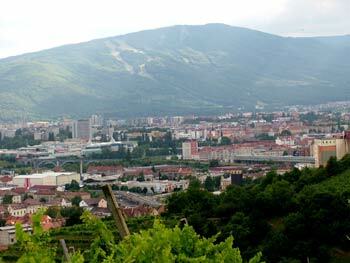 The view of Maribor and Pohorje from one of the wine roads just north of the city. This is a hilly area and we sometimes visit wine roads just for a walk through vineyards and breathtaking views are guaranteed almost everywhere. ...though pictures can never express the experience of actually being here. We keep coming back taking more and more vacation snaps and it doesn't seem we will ever have enough. The whole region is simply stunning.